Hardy abelia for summer fragrance, even in USDA zone 5! 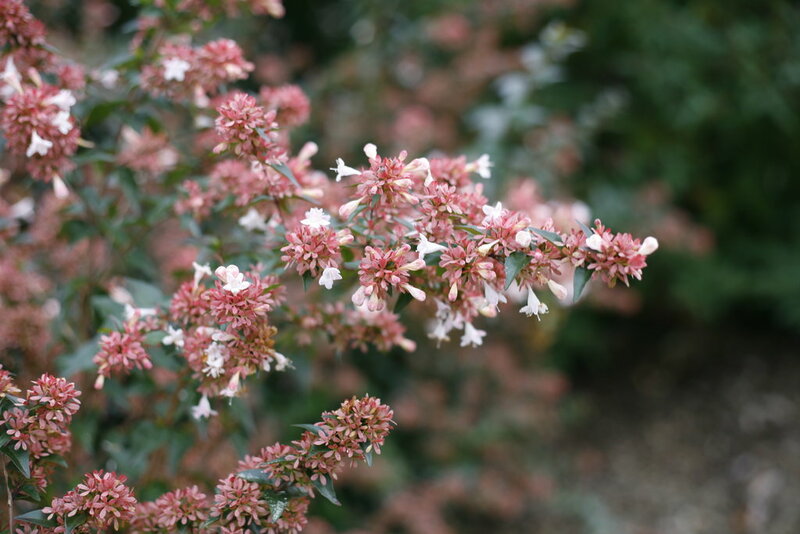 If you aren't familiar with abelia, here's one you ought to get to know. 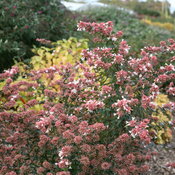 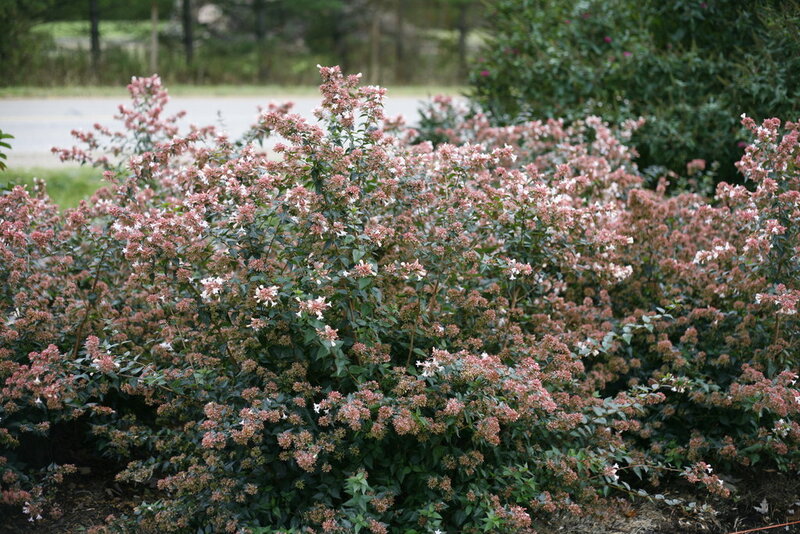 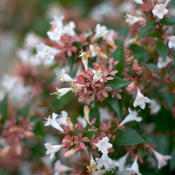 Ruby Anniversary® abelia is an unusually hardy abelia, thriving even in zone 5. 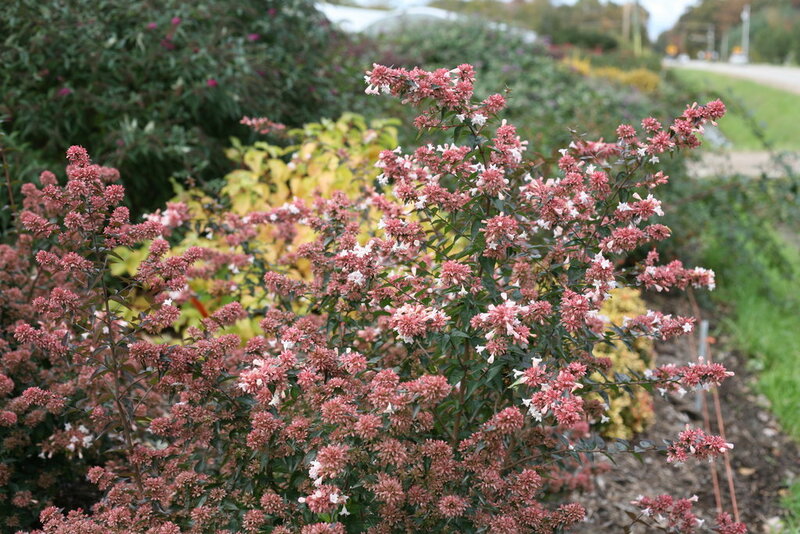 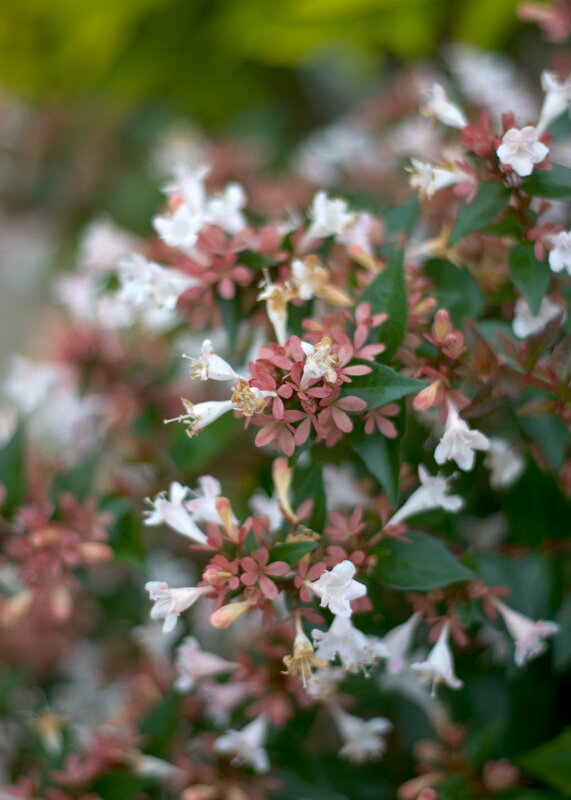 People love abelia because it blooms summer through fall with very fragrant flowers that attract butterflies and hummingbirds, plus it's shade-tolerant and resistant to both deer and rabbits. 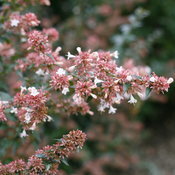 New growth emerges glossy red and ages to a handsome dark green. 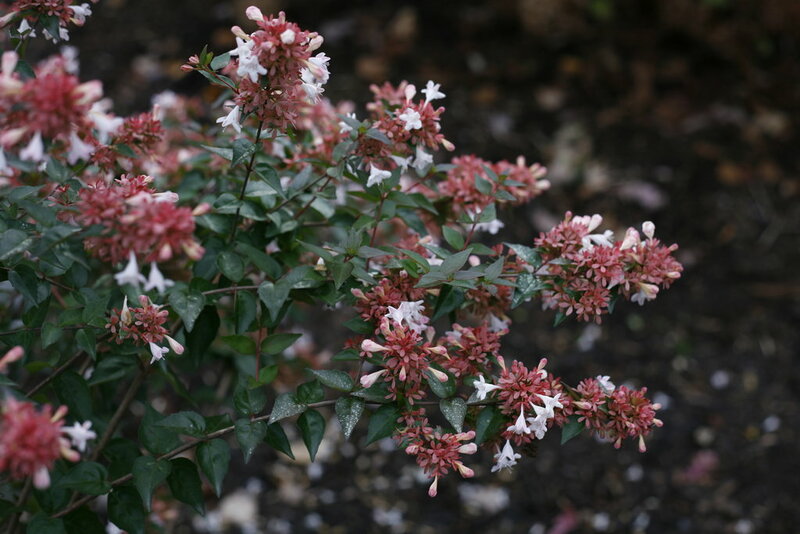 Graceful, arching habit makes it a perfect choice for late season fragrance in your perennial garden, foundation plantings, or any place you can enjoy its flowers and fragrance often. 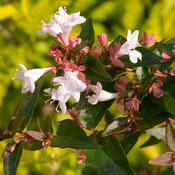 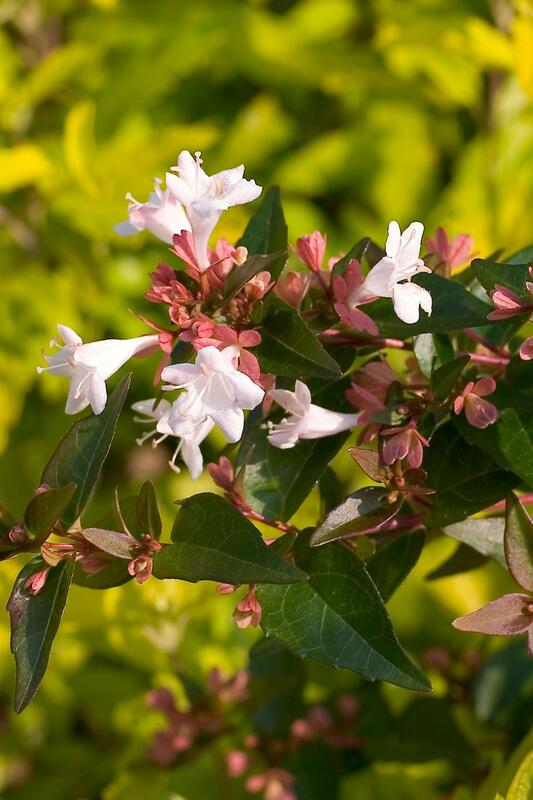 - extends all the benefits of abelia to gardeners in zone 5 (and thrives in warmer areas, too). 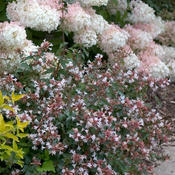 Adds fragrance to any place it is planted. 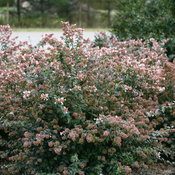 Prune to shape in early spring, just as the new growth is beginning to emerge. 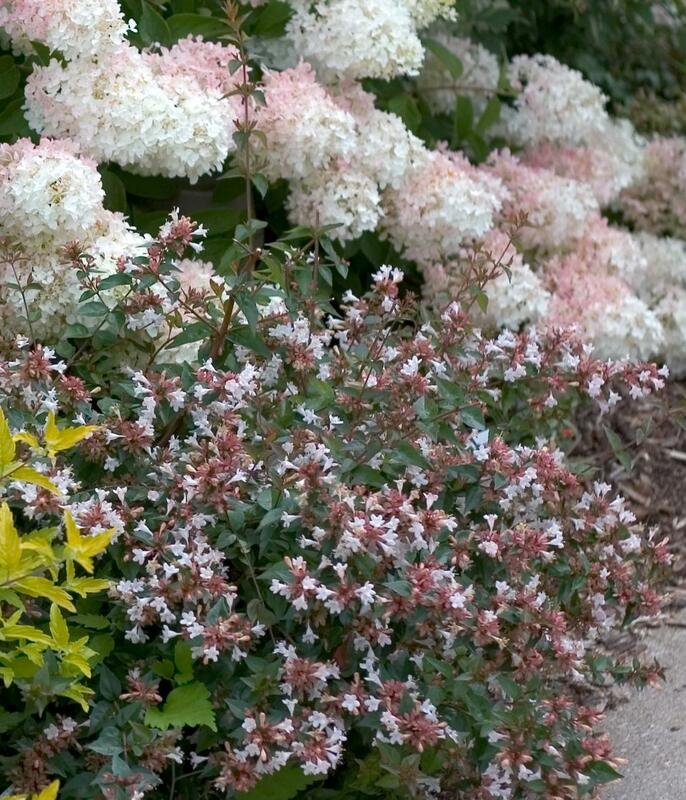 In cold areas, if there has been winter damage, apply a granular fertilizer formulated for woody plants. 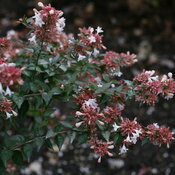 Ruby Anniversary abelia was developed in Ossining, New York by Susan Keiser.